If you were lucky enough to catch Ada/Ava, Manual Cinema’s haunting tale of two aging sisters tending a New England lighthouse, at the Paramount Center stage last year, you already know about the Chicago-based troupe’s astonishing blend of silhouetted actors, shadow puppets, and video projections. If you missed it, fear not: They’re back with another shadow-play story, this one a tale of friendship in a decaying Rust Belt city during the 1990s. Here, the silhouettes behind the screens are Flo, an aging white woman retired from the local auto plant, and Louise, a young African-American woman who was just laid off. Their drama plays behind a barrage of fictional television ads and infomercials—performed via video feeds by the actors backstage—selling the American Dream over the airwaves to people who can’t afford it. 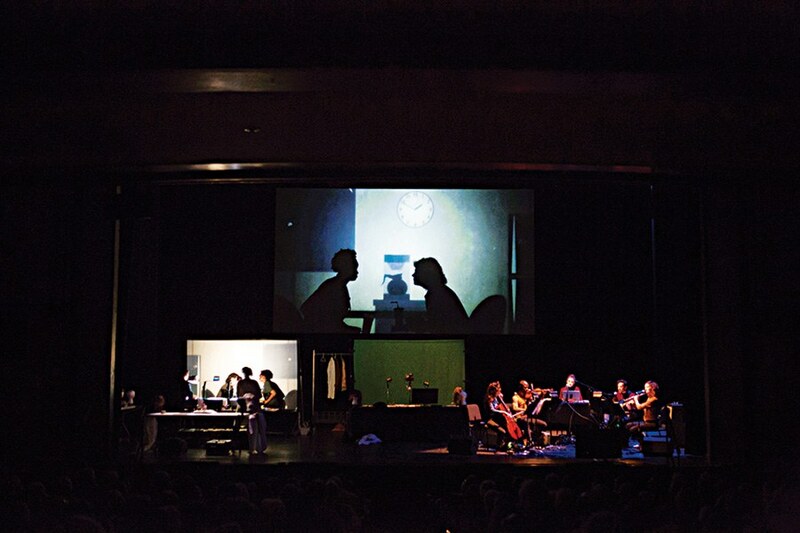 Backed by a live quintet performing original ghostly R & B, pop, and chamber music, this production transforms a humble drama into a magisterial dream. January 16–27, Emerson Paramount Center, 617-824-8400, artsemerson.org. After an acclaimed run off-Broadway, Harvard alum Bess Wohl’s play about six strangers at a silent wellness retreat is coming to Boston. Without speech, they search for ways to connect, with results both humorous and poignant. January 4–February 2, Stanford Calderwood Pavilion, Boston Center for the Arts, 617-933-8600, speakeasystage.com. Think of it as an improv Battle of the Bands: On this Saturday morning, 40 musicians from local groups such as STL GLD, the Sheila Divine, and No Hope/No Harm will come together, then split into eight new supergroups. Each band has the day to come up with three new songs and a cover to play to a packed house in the evening. Rock on! January 12, The Sinclair, 617-547-5200, sinclaircambridge.com. Salman Rushdie’s tale of an Indian city that has forgotten its name was almost tailor-made to be an opera. Bursting with cosmological wonder, political allegory, and water genies, the story was first adapted for the stage in 2004 by American composer Charles Wuorinen. Catch this semi-staged production at the Boston Modern Orchestra Project, and let it cast its spell on you. January 19, Jordan Hall, New England Conservatory, 781-324-0396, bmop.org. 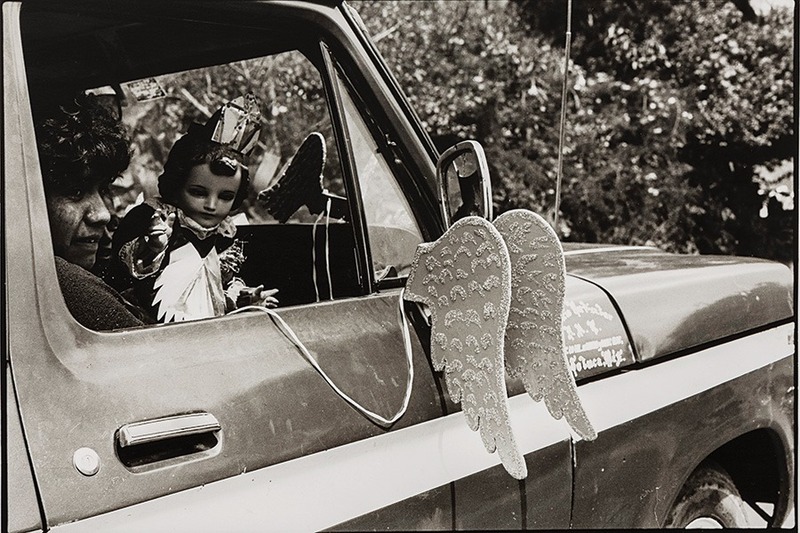 Mexican photographer Graciela Iturbide is a titan of Latin-American art. Yet this exhibition of 125 images is the first major East Coast showing of her work. In stark black and white, she captures skeletons, indigenous communities, and harsh landscapes to explore the politics—and mystery—of Mexico. January 19–May 12, Museum of Fine Arts, 617-267-9300, mfa.org. 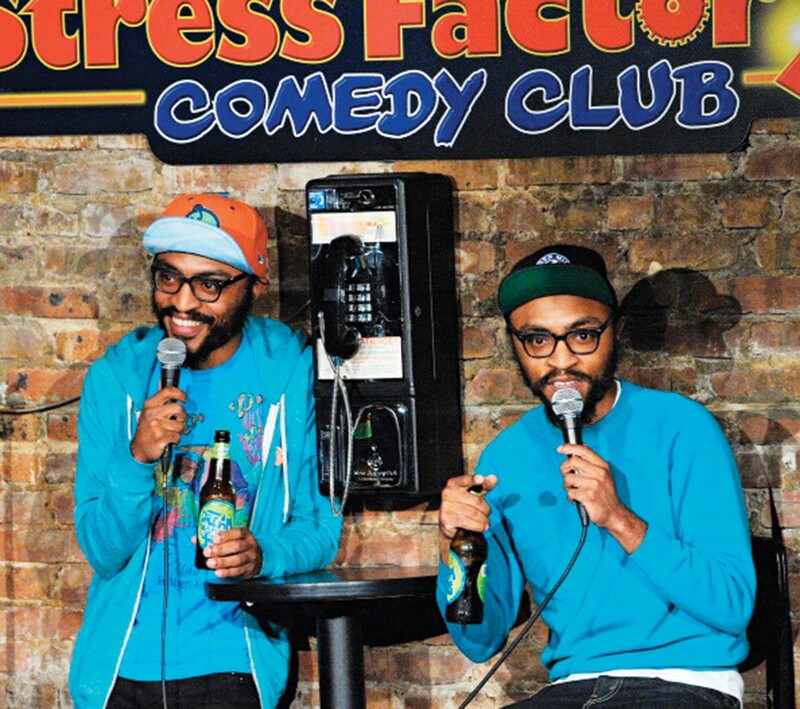 See them once—perhaps on Jimmy Fallon—and you can’t forget them: identical twins, named Keith and Kenny, whose deadpan delivery is made almost surreal by the way they comment on and complete each other’s jokes. Even better, their laconic observational comedy is just a vehicle for cutting satire, which will linger long after the show is over. January 23, Once Somerville, 617-285-0167, oncesomerville.com. January 25–27, Institute of Contemporary Art, 617-876-4275, worldmusic.org.